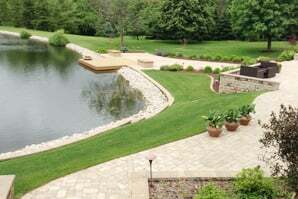 Custom Landscapes Inc. in Decatur, IL is a landscaping company. Welcome to Custom Landscapes Inc.
Finding the balance between landscaping that is in harmony with your surroundings while also reflecting your lifestyle and preferences is a task for a passionate landscape designer. Custom Landscapes Inc. in Decatur, IL has the expertise and enthusiasm to transform your property into the beautiful landscape that you desire. We are a full service landscaping company specializing in landscape property management, landscape design and construction, green house construction, and maintenance. Our work is built to stand the test of time. We serve residential and commercial clients throughout Central Illinois and offer a written guarantee for plant materials and services. 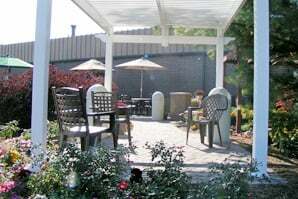 When it comes to landscaping, we take care of everything from design and construction to long-term maintenance. We also specialize in landscape lighting and property management services. Our custom landscape designs not only provide a better living and working environment to our clients but also increase the value of their properties. Take a look at our gallery of pictures featuring our recent projects. In addition to our regular working hours, we also offer personal appointments at our clients’ convenience. Call us to set up an appointment.